John DePetro is an award-winning, nationally recognized talk show host and will now be heard weekdays from 1-5PM on AM 1540 WADK. For the past decade, DePetro was a highly-rated talk show host on a Providence news/talk station. With 18 years’ experience, DePetro, is known for his " tell it like it is style," blended with caller interaction and humor. John DePetro was the only local member of the media to correctly predict a Trump Presidency and served as the emcee for President Trumps’ only Rhode Island rally. DePetro is known for breaking "exclusive news " along with shining a light on corruption in government. John DePetro has been the primary fill-in on the nationally syndicated Michael Savage program and has also been seen on Fox News Channel, CNN, MSNBC along with all local television stations. The focus of the John DePetro show is local news, however, he covers all current event topics from politics, crime and high-profile exclusive interviews with notables like Curt Schilling. 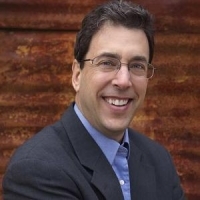 John DePetro is known for his humor and his entertaining and informative style on current events. Tune into AM 1540 WADK and streaming live at WADK.com; also, available on the popular app " Tune In." The John DePetro show has a new home, weekdays from 1 to 5 PM, rebroadcast weeknights at 10 PM and his "Week in Review” program, Saturdays from 9-11AM. Bruce Newbury,the Food Dude, is all about food, wine and dining out! Check out Talk of the Town every weekday from 9:00am - Noon! Bruce will be talking with all sorts of people from the local area! 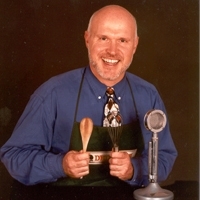 Rick Kelly is the host of WADK's The Irish Hours. 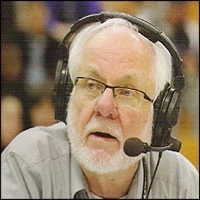 A lifelong Newporter, graduate of the former DeLaSalle Academy and Providence College, a Vietnam Veteran, and retired Middletown, RI, school teacher, Rick has been bringing the sounds of Irish music over the air waves on WADK for over 25 years. The Irish Hours is a mix of traditional and contemporary Irish and Irish influenced music heard Saturdays from noon to 2:00pm. Over the years , in addition to recorded music, Rick has had in studio guest performances by Riobard O'Dwyer, Jerry O'Sullivan, Jim McCann, Tom Kennedy, and Fishing with Finnegan as well as over the phone interviews with performers such as Derek Warfield, Tony Kenny, Martin Hayes, Andy Cooney, Frank Patterson, David Munnelly, Davey Arthur, and many others. In 2006 Rick was asked to emcee the opening show "Irish Night at the Newport Folk Festival" that featured tenor Ronan Tynan and Irish super group Cherish the Ladies. The Irish Hours is one of the longest running commercial Irish radio shows in New England. Rick's e-mail address is rjkelly71@cox.net.